De nombreuses unités blindés indépendante ont participer au débarquement de Provence et la libération de la région tout en continuant dans la vallée du Rhône. 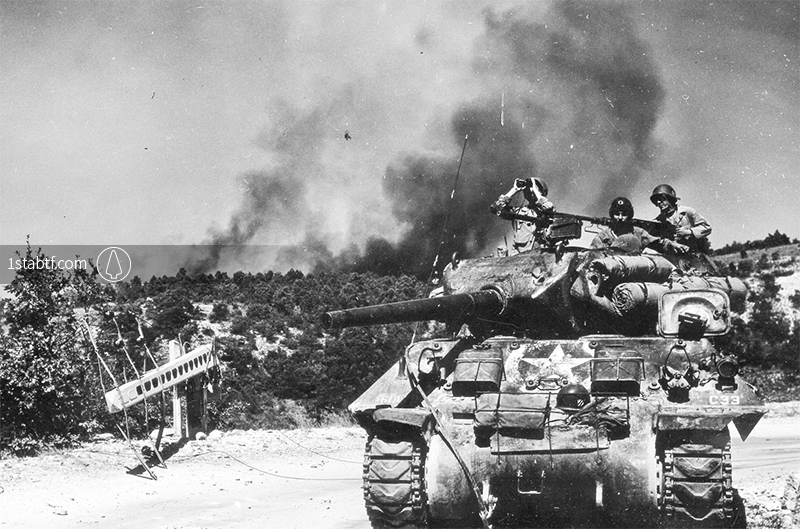 Ce sont au total 78 tankistes des 191st, 753rd et 756th Tank Battalion ainsi que des 601st, 636th et 645th Tank Destroyer Battalion qui perdirent la vie entre le 15 août et le 14 septembre 1944. 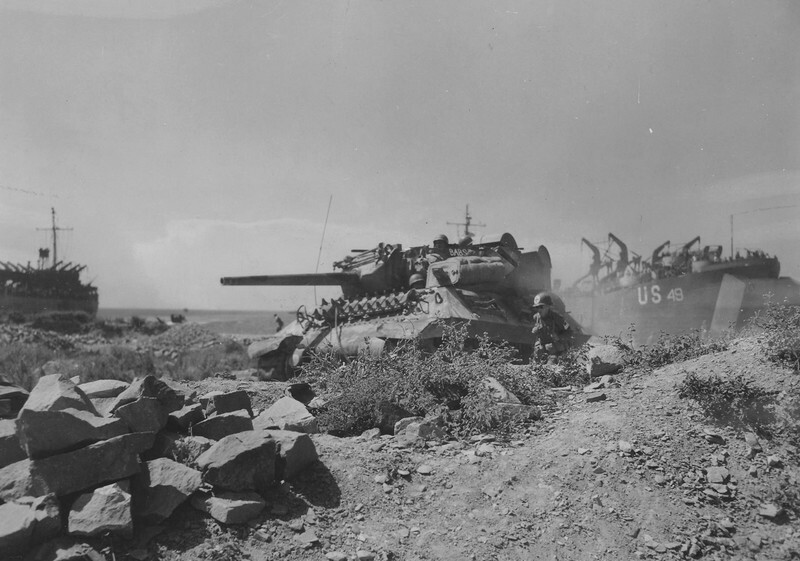 A ceux-ci s’additionne également les chiffres des autres unités équipé de blindé, tel que le 117th Cavalry Reconnaissance Squadron ou le 59th Armored Field Artillery Battalion et bien d’autres encore. 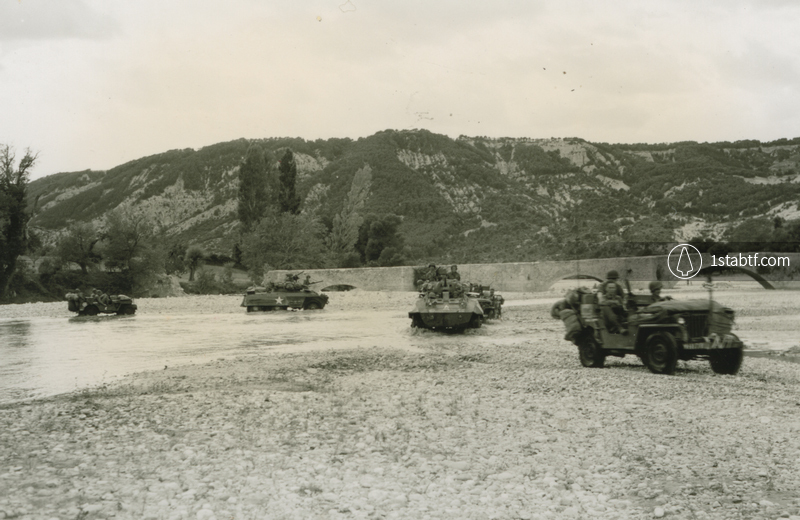 Many independent armored units participate in the Operation Dragoon and the liberation of the country while continuing in the Rhone Valley. A total of 78 tankers of the 191st, 753rd and 756th Tank Battalion and the 601st, 636th and 645th Tank Destroyer Battalion were killed between August 15 and September 14, 1944. To these we have to adds the figures of other units equipped with armor as the 117th Cavalry Reconnaissance Squadron aor the 59th armored Field Artillery Battalion and many others. Tank Destroyers of the 636th Tank Destroyer Battalion waste no time leaving beach on D-Day, Camel Beach. 15 August 1944. Photo by Stubenrauch, 163rd Signal Photo Company. SC 192909, Credit NARA. 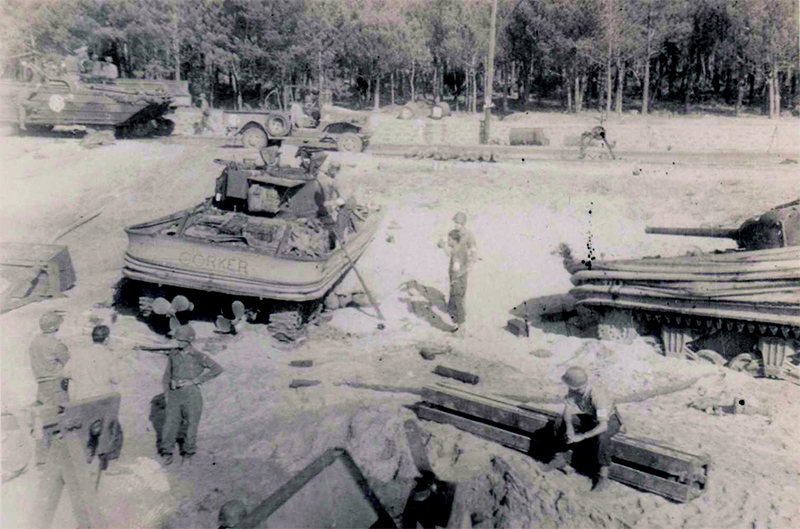 Duplex Drive Sherman tanks on Delta Beach (Saint-Maxime), immobilize by mines on the beach. 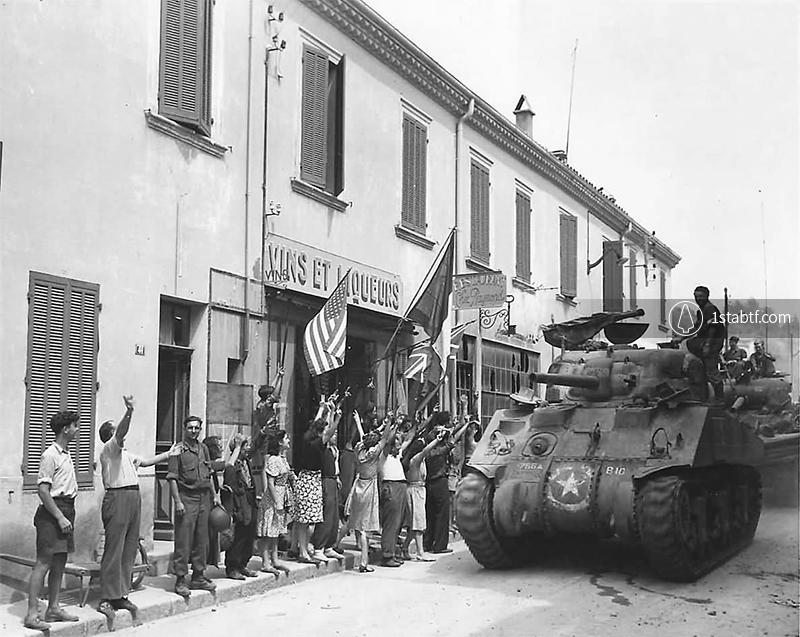 Sherman M4 tanks of the B Company, 756th Tank Battalion, seen in Le Lavandou, shortly after D-day. The following is a Duplex Drive tank. 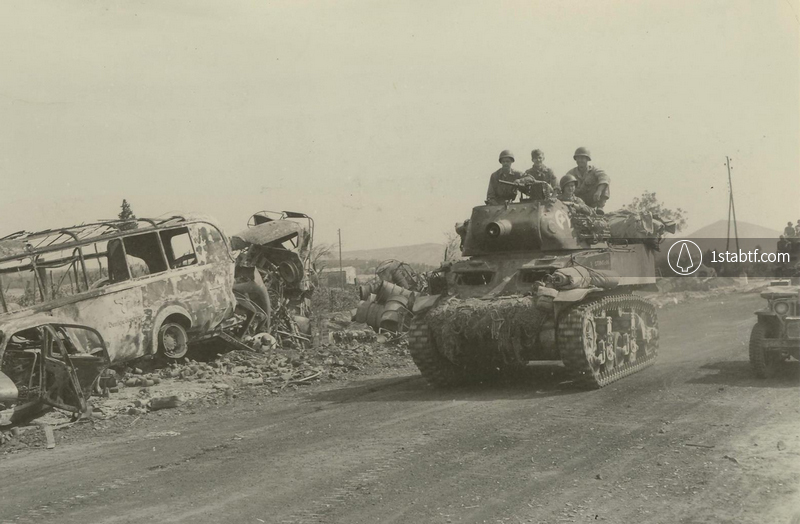 American Sherman tank of the 756th Tank Battalion hit by German 88mm shells burning along road to Flassan. 17 August 1944. Photo by Cuca, 163rd Signal Photo Company. SC 193406, Credit NARA. 45th Inf. Div. 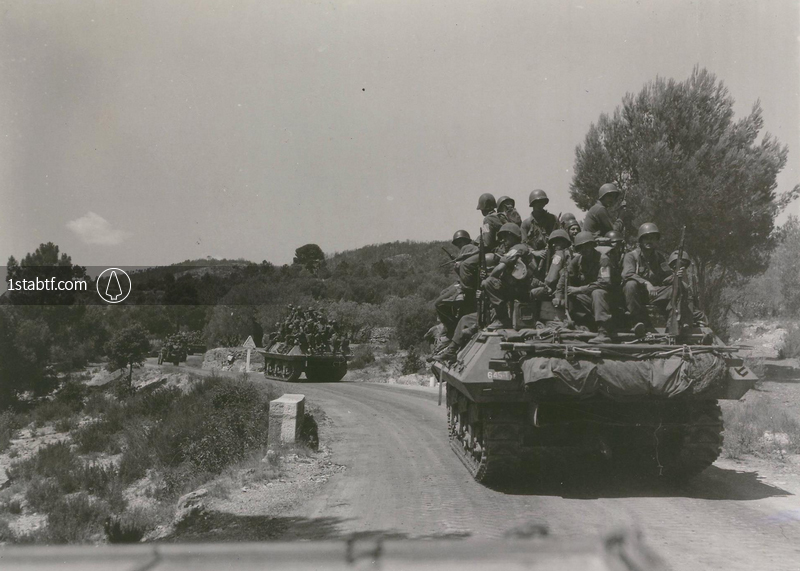 units push through pursuing the enemy by riding on tanks of the 645th Tank Destroyer Battalion, north of Salernes, southern France. 18 August 1944. Photo by Blau, 163rd Signal Photo Company. SC 193393, Credit NARA. Tank and inf. of 45th Div. moving up front near Lorgues. 18 August 1944. Photo by Blau, 163rd Signal Photo Company. SC 271435, Credit NARA. 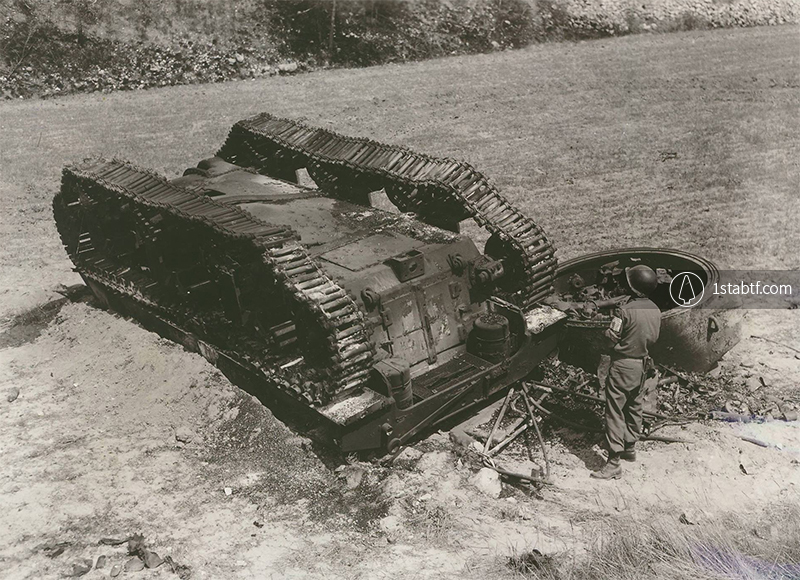 Burned hulk of an American tank knocked-out by German 88 rifle located about 100 yards down the yard. South of Rians, France. 20 August 1944. 193460, Credit NARA. This tank was commanded by Sgt. 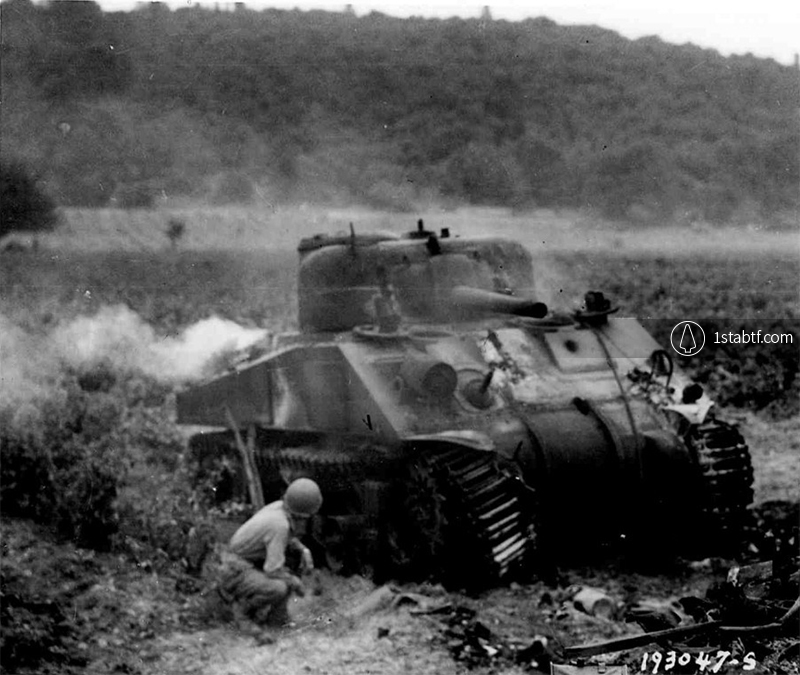 Theodore Valard of B Company, 191st Tank Battalion, when it was hit by an 88mm AT-shell on 19 August. Valard was killed but missing in action. 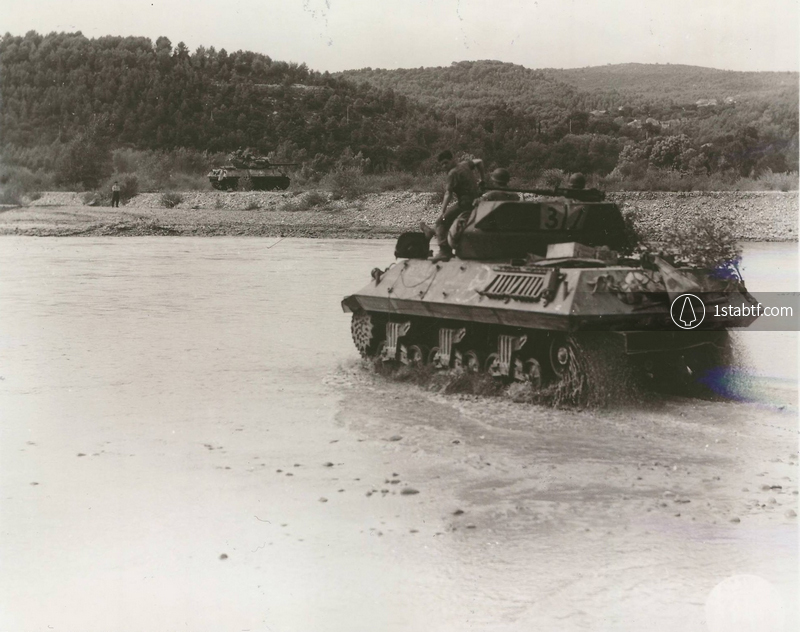 Reconnaissance patrol of the 117th Cavalry Reconnaissance Squadron dvances into enemy territory, fording the river at Riez area, France in Sainte Croix Lake, Gorge du Verdon. Photo by Newell, 163rd Sig. 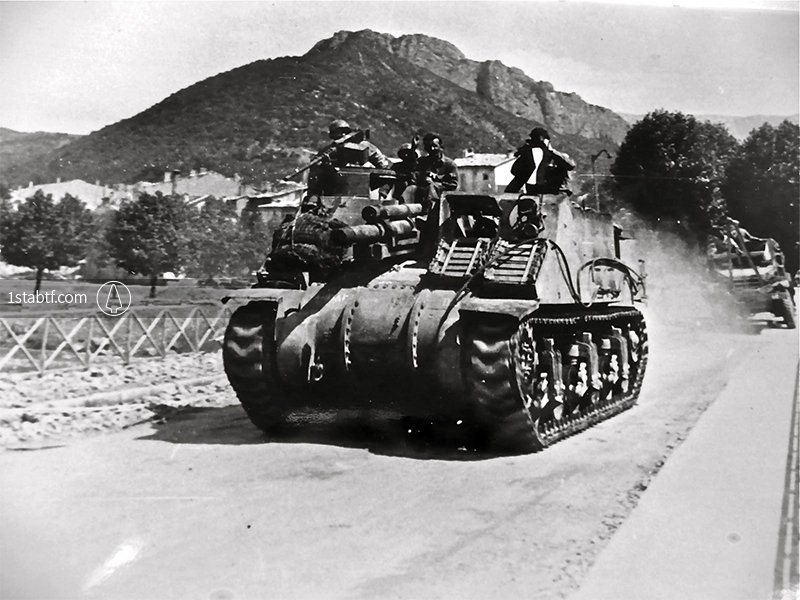 Photo Co.
A self-propelled gun M7 Priest of the 59th Armored Field Artillery Battalion (Task Force Butler) leaving Digne-les-Bains at the end of the 19th of August 1944. 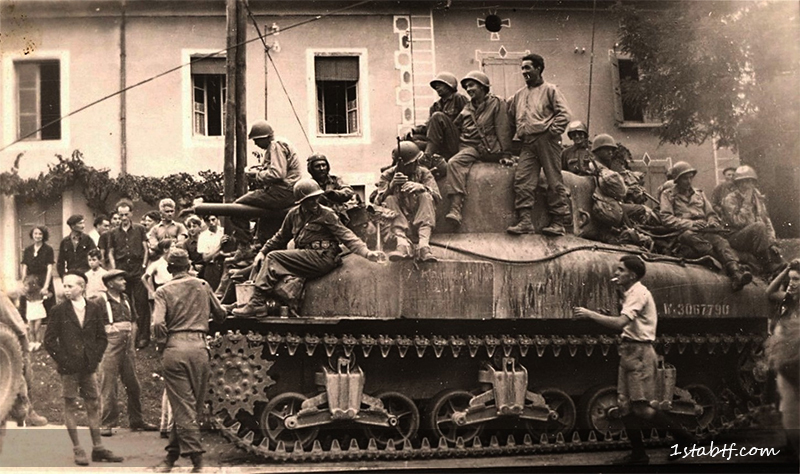 Arriving of the first Sherman tank in Epinouze with troops of the 2/143rd Infantry Regiment, 36th Infantry Division on the 31 of August 1944. Photo Musée de la Résistance. 601st Tank Destroyer Battalion M10 Wolverine Tank Destroyer rolling up a road outside of le Colombier road, France on August 28, 1944, during the battle of Montélimar. The 601st was assigned to the 3rd Infantry Division. Signal Corps. 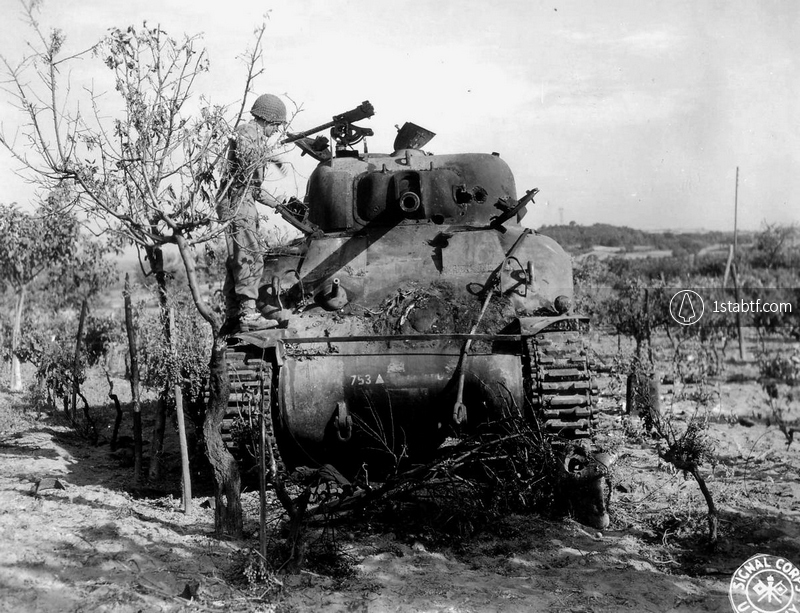 753rd Tank Battalion M4A1 Sherman knocked out by multiple frontal AP penetrations in the fighting with the 11. Panzer Division near Grane, during the battle of Montélimar on August 28, 1944. Signal Corps. 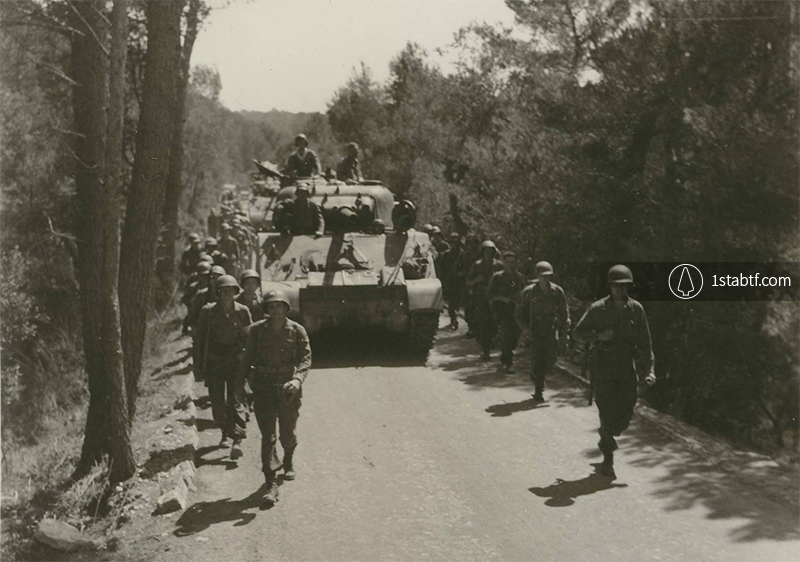 South of Montélimar in the « Corridor of Death » on August 28th 1944. T/Sgt. Polich’s M8 depart Allan and travel up Highway 7. In the distance on the right is Montchamp hill. T/5 Cecil Stinson is driving the M8. Seated in the turret is Sgt. Donald C. Wittnern and standing behind him without the helmet is Cpl. Joseph J. Ranke. The other two men are unidentified. T/Sgt. Polich’s M8 follows in the distance. Photo by Cuca, 163rd Signal Photo Company. SC 193787, Credit NARA.